Your Football Garter Any Team and Customised Too! 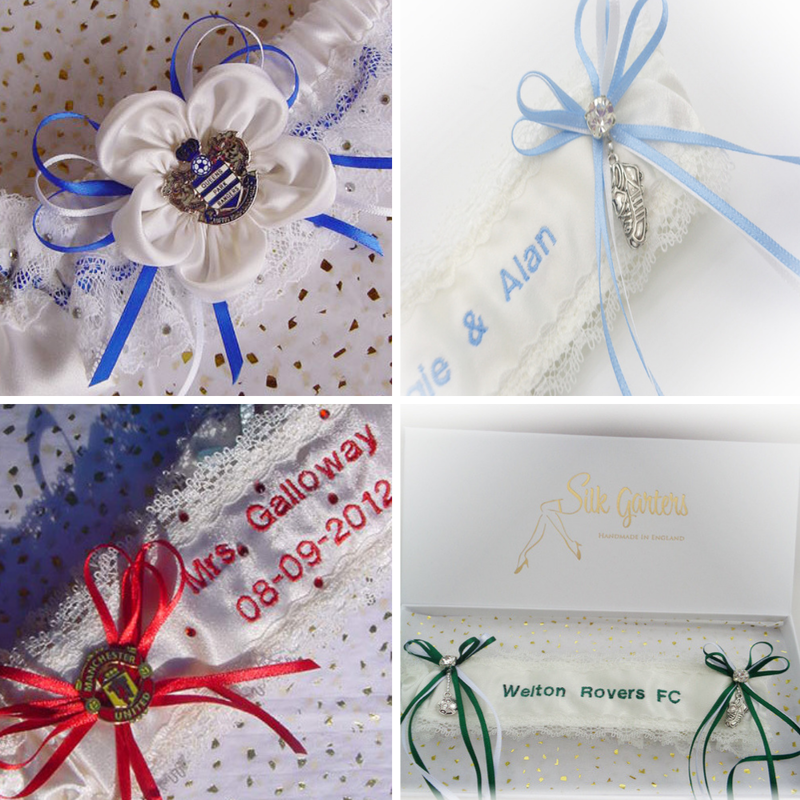 18Jan Your Football Garter Any Team and Customised Too! 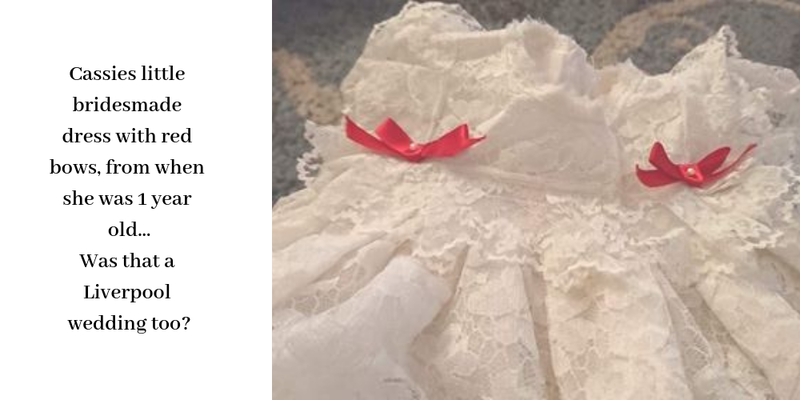 Using the red bows from her little bridesmaid dress is a lovely idea isn't it! Here is the Liverpool garter all finished and Cassie putting on her wedding garter at the begining of the day and showing it off dancing the night away in the evening. 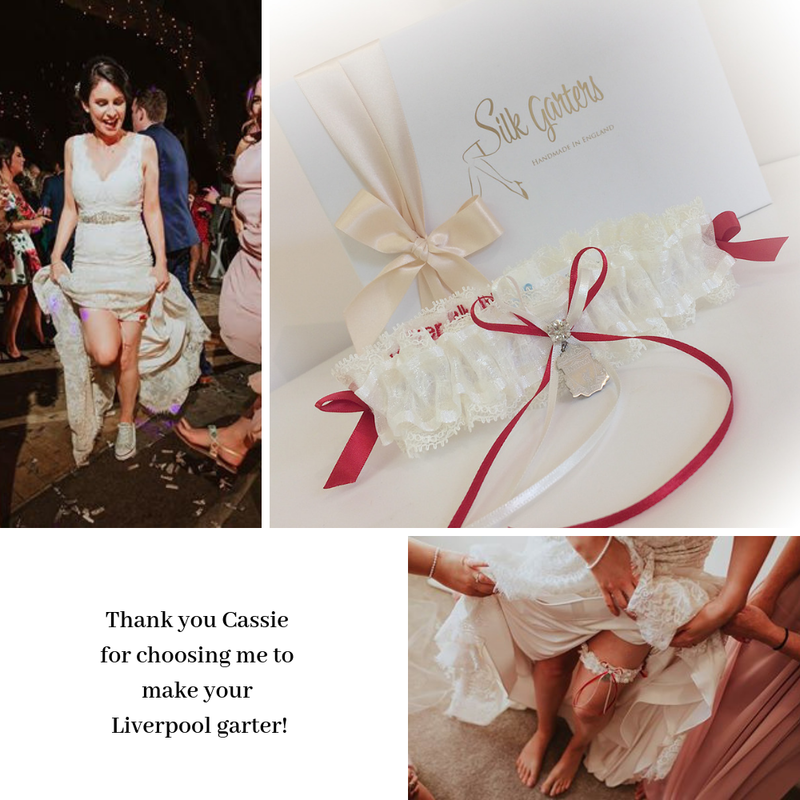 Thank you Cassie for choosing me to make your garter and sharing your photos... Wedding photographer was Joshua Wybon Almost fully booked for 2019 and taking bookings for 2020. If you'd like a football garter please message me, I'd love to hear from you. If you'd like a team badge on your garter, you must supply your own because of copyright law. All badges remain the intellectual property of their clubs.